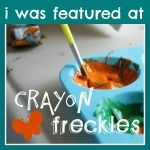 Creative Playhouse: Fantastic Bundle of Goodies! Learn through Play Resources - SALE! Fantastic Bundle of Goodies! Learn through Play Resources - SALE! 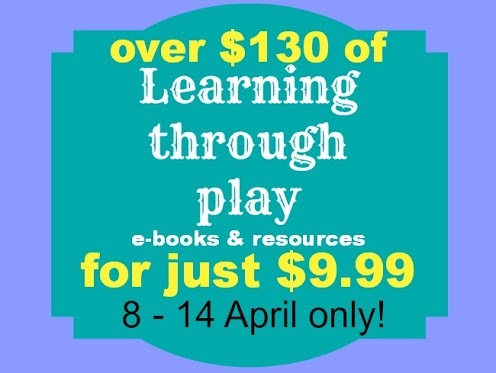 Brought to you by Melitsa of Raising Playful Tots and Cathy of NurtureStore, along with some of our favourite bloggers and authors, the Spring Learning Through Play special offer is now open – but for April 8th to April 14th only. We have put together a package worth over $130 – but available to you at a very special price – of e-books and resources, all based around Learning Through Play. 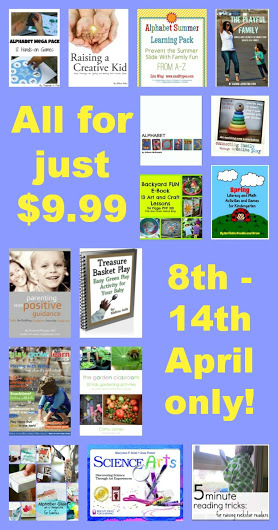 This Spring Special Offer includes books, resources and an on-line course, and covers sensory play, outdoor play, art and crafts, positive parenting, learning to read and write, math and lots more. There's so much in the bundle it will give you ideas to use with your children all spring and summer long. You’ll recognize the authors as the writers of some of your favorite blogs – check out the full details below to see who’s joining in. This special bundle of books is available for you to buy only between April 8th and April 14th. So buy it now or you’ll miss the deal! I’m so happy to recommend this offer to you. 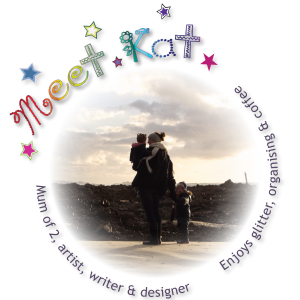 These ladies really know their stuff and the books and resources are packed full of fantastic creative and practical ideas that you can use with your children. 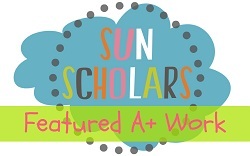 There are sixteen different authors joining in, bringing you over $130 worth of resources. And, guess what – you can buy the lot for just $9.99! Read on to see all the items included in the spring special offer – and start looking forward to getting your copies! You can buy the bundle on any device, including computer, Apple, Android and portable devices. You’ll get an instant download of the books and resources so you can start enjoying them straight away. The book will be sent to the e-mail address associated with your paypal account. The delivery system gives you 9 attempts at download within 120 hours, so you can buy now and do the download a little later if you prefer. Depending on the apps you have installed and your operating system you might be able to go ahead and download each book on your mobile device but if you have any doubts or problems, we recommend you use a computer to download the books and then share them to your mobile devices.